Graduate training in the Field of Anthropology emphasizes sociocultural anthropology, with an additional concentration in archaeological anthropology; biological anthropology is primarily an undergraduate program except under special circumstances, particularly in international nutrition. Substantively, the Field of Anthropology combines humanistic and social scientific approaches in innovative ethnographic research, emphasizing culture as a productive process and anthropologists as engaged in understanding and defending cultural diversity. Geographically, our greatest depth is in Asia (East, South and Southeast), but the Americas, Europe, and Oceania all also figure importantly. The Field of Anthropology has strong ties with all the geographic area programs, as well as faculty active in many other interdisciplinary programs, including joint appointments with Asian American Studies, Latino Studies and Women's Studies. The graduate program in anthropology is highly individualized and interdisciplinary. Only three courses and a field research proposal are required; thus, the bulk of students' work in language, area studies, or other training is individually designed in consultation with the Special Committee. Individually tailored examinations occur after approximately the first year of course work (the Qualifying Exam), the second or third year (the Admission to Candidacy, or A Exam), and after completion of the thesis (the Defense or B Exam). Most graduate students in the Field of Anthropology complete one to two years of intensive field research. All doctoral candidates are also expected to teach at some point: most students first get experience as assistants in both introductory and mid-level courses; later, many design and teach courses of their own in the Knight Writing Program. A vigorous weekly colloquium series enriches the intellectual environment for both students and faculty. Program Description The Field of Anthropology primarily admits candidates seeking a Ph.D. because of the lack of funding for, and employment with, only an M.A. With very rare exceptions, every student admitted to the Ph.D. program receives full funding to support all the expected years of on-campus study. 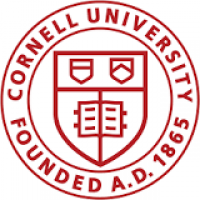 In recent years, all our graduate students have received additional funding, either from Cornell or from major external sources such as NSF, Fulbright, SSRC, and Wenner-Gren to conduct both preliminary and dissertation field research. Most students complete the Ph.D. within seven years and most have gone on to find academic employment at major colleges and universities in the U.S. or abroad.